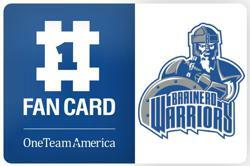 Visit www.brainerd-warriors.com or www.warrioractivities.com to access the registration site. First time users of the new system will need to create a SmartSchoolK12 account. You must have the Student ID number and birthdate of one of your children to link your account to all of the members of your family. You can get student ID numbers from your Skyward Family Access Account. If you used the system last year, your login credentials will remain the same. Fee reductions are again based on a family’s qualification for the Federal Free/Reduced meal program. The registration system “knows” your F/R status and allows you to select the appropriate sport and fee level when you register. Families with extenuating financial circumstances can contact their respective activities office for assistance. We will never turn a child away for financial reasons. Finally, Fall sports at BHS begin on Monday, August 13, so please register early to avoid any last minute delays that could interrupt your child’s eligibility status. Contact the activities office at Forestview or Brainerd High School you need any assistance during this process. We are here to help. The Brainerd interscholastic activities program encourages multi-sport, multi-activity participation and provides challenge for students in a competitive learning environment that includes rigor, and commitment, requires fair play and good sportsmanship and enhances pride in self, team and school. 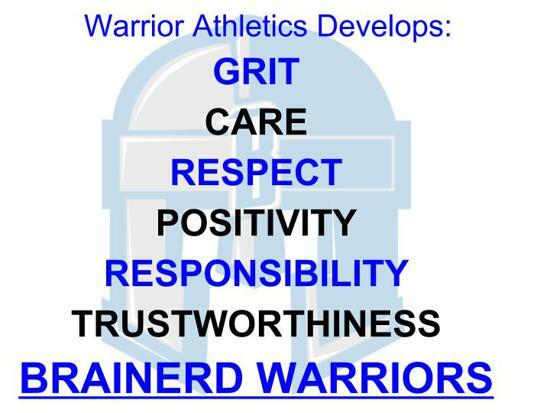 We believe interscholastic activities are an integral part of the school's total educational program and the Warrior activities program is an extension of our basic educational philosophy of preparing students to become productive, contributing citizens of their community. We believe that a sound activities program teaches the participants the values of cooperation as well as the spirit of competition. The individual learns how to work with others for the achievement of group goals. We believe that a sound activities program stimulates its participants to win and excel, but we are always mindful of the value of our program to the development of health, happiness, physical skills, maturity, sportsmanship, decision- making skills, self-confidence, and self-discipline of each participant. We believe that we must be intentional about teaching these concepts to our student athletes. We believe that a sound activities program contributes to and enhances the environment and climate of our schools and the communities they serve.